This story originally appeared in The Aurora Beacon-News on July 8, 2013. AURORA — As a student at East Aurora High School, Tomari Gregory was a face almost every teacher recognized. That’s because Gregory, 18, often was found wandering the halls during class, especially English. After write-up after write-up, Gregory was at risk for expulsion and sent to Pathways Academy, an alternative high school program housed at the Quad County Urban League on North Farnsworth Avenue. Pathways is for students who are at risk of being expelled, have committed a violent act, have low attendance records, have some kind of academic deficiency or are coming back from a juvenile detention center. Knowing the school’s reputation, Gregory assumed it would be bad. Maybe even horrible, he recalled on a recent July afternoon. But when he got to the Urban League, it was peaceful, he said. The teachers treated him like a man, instead of a kid, and showed him and other students respect — “as long as we show them respect,” he said. Gregory liked the extra one-on-one attention he received whenever he had a question in class. He found himself working harder than he did at East High. When the principal checked in daily, Gregory could tell her concern was sincere. After a year in Pathways, Gregory received his East High School diploma and now he’s thinking about studying electrical engineering in college. 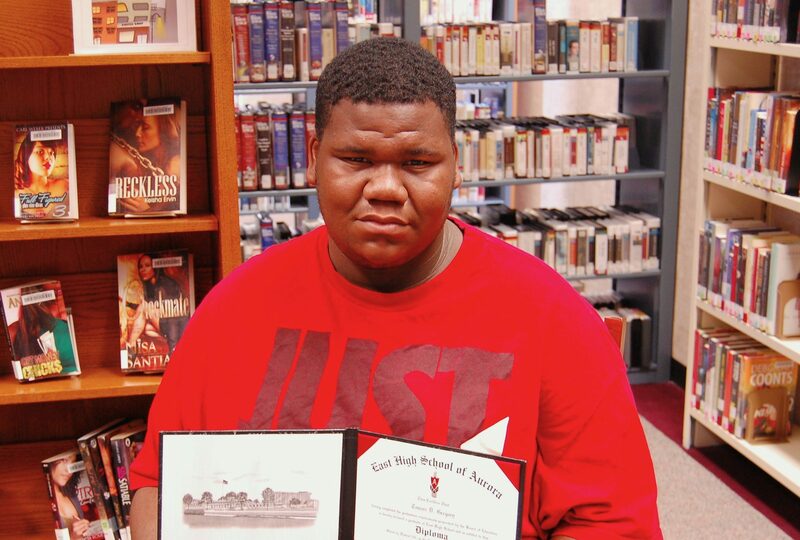 Success stories like Gregory’s are part of the reason that East Aurora has increasingly housed alternative education programs at the Urban League in recent years. School board members and administrators say the Urban League is a cheaper option than other facilities outside the district and that parents and students provide positive feedback about the services — so much so that East Aurora will add two programs to the Urban League this school year. But the contract that school board members approved last Monday was inked after weeks of scrutiny and questions over the increase in the cost of services, the size of the contract and the success of the programs housed there. The school board added formalized reporting and evaluation requirements to the contract this year “so we can make sure that everyone on both sides is satisfied with the terms of the contract,” said board member Kirsten Strand. The Urban League’s contract for the 2013-14 school year is worth $1.5 million, a more than seven-fold increase in four years, according to an analysis of East Aurora contracts. The Urban League will serve up to 196 students at a time, up from 50 a few years ago. East Aurora programs increasingly make up a chunk of the Urban League’s revenue. In school year 2011-12, the latest data available, East Aurora’s contracts accounted for 51 percent of the money taken in by the Urban League for its programs and 20 percent of the nonprofit’s total revenues. That was up from 8 percent of program services and 6 percent of total revenue two years prior. About two weeks before the contract was approved, board member Ray Hull called into question the number of slots that East Aurora pays the Urban League for — each slot can be occupied by more than one student in a school year — and called on the board to “establish a threshold” for the size and cost of the Urban League programs. The cost of the new Urban League contract is up 72 percent from last year and the facility can serve up to an additional 78 students. For the last few years, the Urban League has housed the Pathways program as well as the Aurora Middle School Academy, known as AMSA, which is the middle school equivalent of Pathways, but also accepts students with behavior issues. There is also a Pathways and AMSA program for special education students, which is an option if students need significant behavioral interventions, need additional therapeutic support, are verbally aggressive or have life skill challenges. An evening Pathways program helps high schoolers who don’t have enough credits to graduate. Last year, East Aurora sent a total of 112 students to the Urban League, about 71 percent of whom were male and 29 percent were female. More than two-thirds of students housed at the Urban League were Latino, about a quarter were African-American and about 8 percent were white. This year two additional programs will be housed at the Urban League, the Tomcat Prep Academy, which is for students who are aging out of middle school but don’t have enough credits to enter high school, and The Advantage Program, which is for dropouts, students in their last trimester of pregnancy or parenting a newborn. Last school year The Advantage Program was housed in rooms rented from St. Nicholas Catholic Church in Aurora, but a routine safety inspection earlier this year found the space was not appropriate for children, who often accompany their parents to school and are cared for during school hours. According to administrators and school board members, the increase in the cost of the Urban League contract is because of the two new programs and the increase in the number of reserved spots, as well as additional staff and the use of more facility space. School Board President Annette Johnson said the Urban League also increased its costs to account for “overhead” costs to operate and maintain the facility, which used to be shared with West Aurora and Indian Prairie when those districts also used the Urban League for alternative education services. This is also the first time the city of Aurora isn’t kicking in money for the high school credit recovery program in at least five years. Last year it contributed $90,000. An increase in the cost of special education services make up a significant part of the rising cost of the contract. The district will spend about $244,000 more on special education services at the Urban League this year, up about 48 percent from last year. With 56 slots, East Aurora will have four additional spaces for special education students. But the cost per special education student has increased by about 36 percent over last year to $13,401 — which is more than triple the cost from four years ago. According to documents prepared to answer school board members’ questions, the cost per special education student rose because of the cost of additional personnel. The Urban League’s president and CEO, Theodia Gillespie, said last year her nonprofit absorbed the cost of hiring four to five new staffers mid-year to help provide more social-emotional support to East Aurora students and to engage their families. “It allowed us to really focus on the parents and do more home visits,” Gillespie said. The extra staff also helped “provide a more structured classroom environment” Gillespie said, since classrooms were smaller and more staff were available to pull students out of a classroom if there was an issue. In addition to the cost of last year’s staff additions, the Urban League will up the number of security guards, social workers and paraprofessionals this year. Johnson said even with the cost increases, the Urban League is cheaper than other facilities outside the district’s boundaries — which means fewer federal dollars the district gets for those students — that provide alternative education services. She estimates the district is saving $240,000 this year by using the Urban League over other outplacements. Parents of children in programs housed at the Urban League became increasingly worried about the funding for the nonprofit when a vote on the contract was delayed three times in six weeks. Martha Vazquez, a 46-year-old mother of four East Aurora students, came to a June school board meeting to tell members about how her 14-year-old son, Andres Castañeda, had benefitted from the AMSA program, and asked them to keep funding it. In an interview in mid-June, Vazquez said her son was sent to AMSA after he was rude to teachers at Waldo Middle School. Her son takes medication for attention deficit hyperactivity disorder, she said, and teachers had little patience for his inability to sit still in class. When she asked the school for help, she said, the counselor was difficult to reach and often busy. So Vazquez asked the district to transfer her son to AMSA, she said, because she thought he’d benefit from the smaller class sizes and extra attention. She even moved her family to a new home to be closer to the Urban League. She likes the new school, she said, because teachers are patient and the counselors are attentive. She’s also seen a change in her son since he started to attend AMSA last August. Velazquez likes the school so much that she doesn’t want her son to leave. She doesn’t know how he’ll fit in once he eventually transfers back to his regular school. Gillespie says she and her staff try to make the Urban League environment seem as much like a regular school as possible, and she focuses intently on keeping the space well-lit, clean and ordered. This year the Urban League will focus more heavily on creating a formal process to prepare students for transitioning back to their home schools, Gillespie said, since students and parents often prefer the smaller class sizes and individualized attention.